“Trending” is a buzz word that covers a range of topics, from cat videos making the circuit on Instagram to the latest Kardashian selfie being dissed at the watercooler. But with the start of a fresh new year, no trend is guaranteed to smoke the Internet faster than anything relating to health and fitness. What’s the forecast for 2019? We went to the experts, PJCC Personal Trainers, for their thoughts on up-and-coming fitness trends, and here’s what they have to say. Chris Luera is sold on Functional Training and with 20 years’ experience as a fitness specialist, he should know. 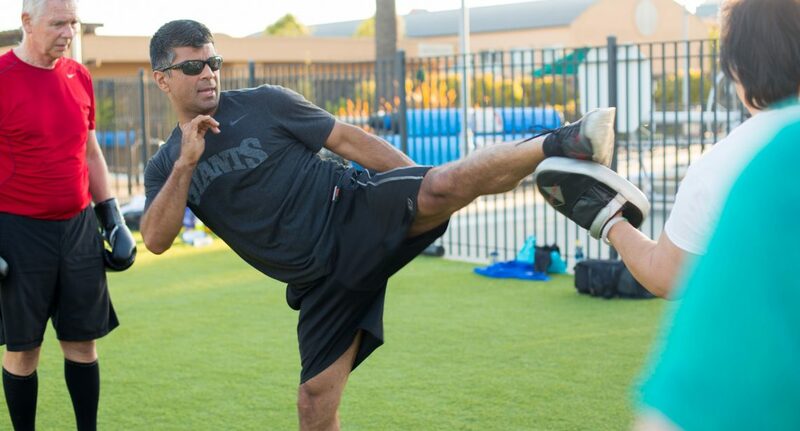 “It concentrates on movements versus muscles, common movements that we do every day, like bending, lifting, and pushing,” says Luera, who is also a martial arts veteran. “By training your muscles to work the way they do in daily living, you’re prepping your body to meet the demands of everyday life while also getting fit in the process.” Check out his TRX class for functional training. Luera says that Fusion classes are also big. “They blend multiple formats, such as boxing and yoga, or strength training and Pilates, and offer a range of benefits within one workout.” A few examples at the PJCC include Barre Fusion, a combo of ballet, Pilates, yoga, and dance, and Cardio Kickboxing or Tae Bo which are combinations of martial arts, cardiovascular training, and bootcamp drills. There’s also Total Body Conditioning (TBC), which combines athletic movements with cardiovascular drills, strength, agility, balance, and endurance training all in one killer workout. Robert Nussbaum says that Powerlifting exercises are popular and especially with women since these workouts build skeletal strength and one out of five women are at risk of developing osteoporosis. “Powerlifting consist of three attempts at maximum weights on three different lifts: the squat, bench press, and deadlift,” he says. “Benefits include building muscle, burning fat, and reducing your risk of injury in other sports and activities.” You’ll find powerlifting workouts through personal training and Women on Weights (WOW) classes. Busy schedules are a common theme in the Bay Area, which is why PJCC Group Exercise Manager Michele Mandell says Fitness on Demand is exploding in popularity. It’s exactly what the name implies and it’s coming to the PJCC. “Our Group Exercise studio will morph into an automated virtual studio with a self-service digital kiosk interface that allows users to instantly begin a workout at their convenience,” she says. “Members will have up to 100 classes to choose from. Cardio kickboxing, bootcamp, sculpting, barre, yoga, mat Pilates, you name it.” You’ll find Fitness on Demand later this year at the PJCC. So, are you primed to check out these fitness trends? You’ll find them here at the PJCC. Drop by and try a HITT class or eSpinner, and get started on your fitness journey. Or, you can watch the latest cat video on Instagram.